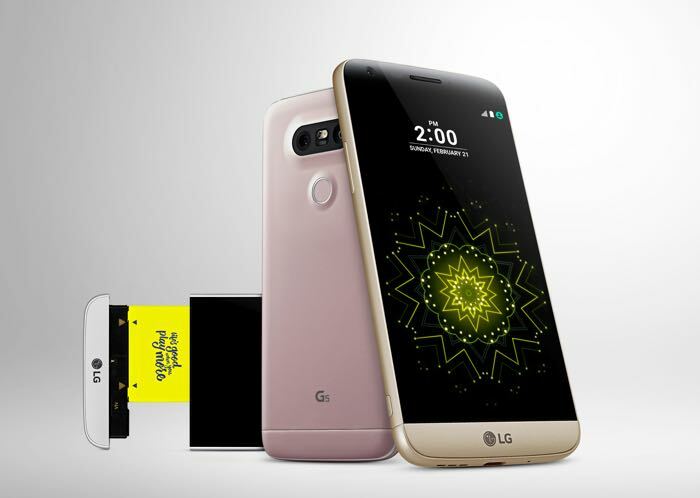 The LG G5 was launched last month at the Mobile World Congress 2016 in Barcelona with a modular design and top-of-the-line specifications on board. If you’re based in the UK and want to get your hands on the LG G5, there’s some good news for you. Carphone Warehouse has started taking pre-orders of the handset for £499.99. It’s not just Carphone Warehouse, Amazon UK and Clove are also selling the handset for a similar price tag. Best of all, Carphone Warehouse has listed the delivery date of the handset to be April 1st, which goes in line with the March 31st global launch of the handset. LG G5 comes with a 5.3-inch display sporting a resolution of 2560 by 1440 pixels and is powered by a Qualcomm Snapdragon 820 chipset paired with 4GB of RAM and 32GB of internal storage. There’s a microSD card slot as well as a 16MP camera for photos and videos, 8MP front-facing camera, a 2,800 mAh battery and ships with Android 6.0 Marshmallow pre-installed out of the box. Anyone interested in picking up the LG G5 when it goes on sale in the UK?